Elicitins form a novel class of plant necrotic proteins which are secreted by Phytophthora and Pythium fungi, parasites of many economically important crops. These proteins induce leaf necrosis in infected plants and elicit an incompatible hypersensitive-like reaction, leading to the development of a systemic acquired resistance against a range of fungal and bacterial plant pathogens (PUBMED:8994969). Elicitins are small, highly-conserved proteins secreted by phytopathogenic fungi belonging to the phytophthora species [(PUBMED:7753775)]. 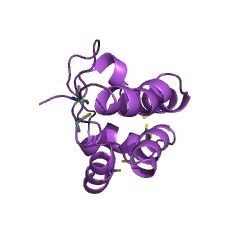 They are toxic proteins reponsible for inducing a necrotic and systemic hypersensitive response in plants from the solanaceae and cruciferae families. Leaf necrosis provides immediate control of fungal invasion and induces systemic acquired resistance; both responses mediate basic protection against subsequent pathogen inoculation. Members of this family share a high level of sequence similarity, but they differ in net charge, dividing them into two classes: alpha and beta [(PUBMED:7753775), (PUBMED:24186785)]. Alpha-elicitins are highly acidic, with a valine residue at position 13, whereas beta-elicitins are basic, with a lysine at the same position. 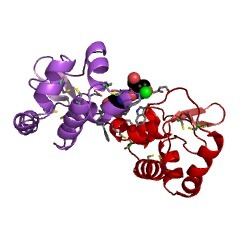 Residue 13 is known to be involved in the control of necrosis and, being exposed, is thought to be involved in ligand/receptor binding [(PUBMED:24186785), (PUBMED:9385630)]. Phenotypically, the two classes can be distinguished by their necrotic properties: beta-elicitins are 100-fold more toxic and provide better subsequent protection [(PUBMED:7753775)]. 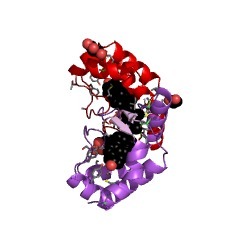 There are 740 Elicitin domains in 634 proteins in SMART's nrdb database. Taxonomic distribution of proteins containing Elicitin domain. This tree includes only several representative species. The complete taxonomic breakdown of all proteins with Elicitin domain is also avaliable. Click on the protein counts, or double click on taxonomic names to display all proteins containing Elicitin domain in the selected taxonomic class. 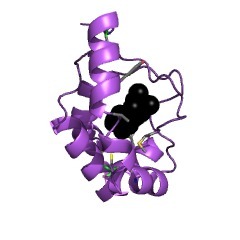 Crystal structure of a fungal elicitor secreted by Phytophthora cryptogea, amember of a novel class of plant necrotic proteins. BACKGROUND: Elicitins form a novel class of plant necrotic proteins which aresecreted by Phytophthora and Pythium fungi, parasites of many economicallyimportant crops. These proteins induce leaf necrosis in infected plants andelicit an incompatible hypersensitive-like reaction, leading to the developmentof a systemic acquired resistance against a range of fungal and bacterial plantpathogens. 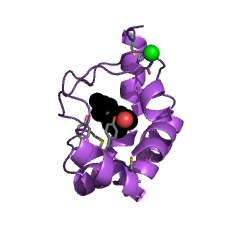 No crystal structures of this class of protein are available. 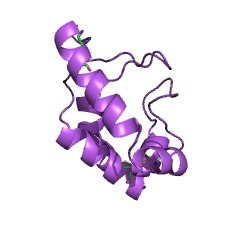 Thecrystal structure determination of beta-cryptogein (CRY), secreted byPhytophthora cryptogea, was undertaken to identify structural features important for the necrotic activity of elicitins. RESULTS: The structure of CRY wasdetermined using the multiwavelength anomalous diffraction technique and refined to 2.2 A resolution. 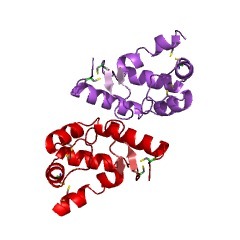 The overall structure has a novel fold consisting of sixalpha helices and a beak-like motif, whose sequence is highly conserved withinthe family, composed of an antiparallel two-stranded beta sheet and an omegaloop. 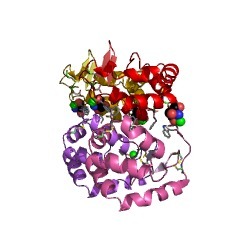 This motif is assumed to be a major recognition site for a putativereceptor and/or ligand. Two other distinct binding sites seem to be correlated tothe level of necrotic activity of elicitins. 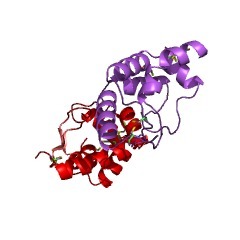 CONCLUSIONS: The determination ofthe crystal structure of a member of the elicitin family may make it possible to separate the activity that causes leaf necrosis from that inducing systemicacquired resistance to pathogens, making it feasible to engineer a non-toxicelicitin that only elicits plant defences. Such studies should aid thedevelopment of non-toxic agricultural pest control.